DJI Mavic Air vs the DJI Mavic Pro Platinum: Which Is Best For YOU? With the release of the new DJI Mavic Air, you might be wondering which is the best Mavic for you?Should you opt for the new Mavic Air or the tried-and-true Mavic Pro Platinum? The new smaller Mavic Air has a lot of great features, but does that mean it is the right one for you? Let’s take a closer look at some of the important features of these two drones. The Mavic Air is “1/2” the size of the Mavic Pro. That means it is actually about 20% smaller in length, width, and height. Let’s take a quick look at how they stack up. You can even see how they compare to the Spark and the Phantom 4 Pro. To summarize the table quickly, the Mavic Pro beats the Mavic Air when it comes to flight time and range. You’ll get a solid 30 minutes out of the Pro, but the smaller Air will max out at 21 minutes. The Mavic Air, however, is more compact, lighter, faster, more stable, and less expensive than the Pro. The graph below shows some of the specs as a percentage of whatever drone has the highest value. For example, the price, size, and flight time of the Mavic Air are all about 80% that of the Mavic pro. On the other hand, the Mavic Pro only has two-thirds of the Air’s 3 directions of obstacle avoidance. Study the graph carefully. Some specs like price, size, and weight are better low than high. *Size used is the largest dimension when folded. **The Mavic Pro price listed is for the base Pro, not the Pro Platinum. Both of these quadcopters have excellent cameras, but the Mavic Air gets the edge with a frame rate of 120 fps when filming in 1080p. The Air incorporates an HDR (high dynamic range) photograph mode, meaning you have the ability to take several sequential photos and have them automatically merge for better definition of really dark and really light parts of the photograph. If you have a Smartphone that is less than a year old, chances are you are already using HDR every day and you may not even know it. These pictures were taken with extreme back-lighting that washed out the background. The HDR image preserves more parts of the charging station and looks better overall. The camera on the Mavic Air is easier to use. The autofocus and tap focus on the Mavic Pro can leave beginner pilots with out-of-focus footage. We actually welcome the higher f/number on the Mavic Air. At f/2.8, more of the world is in focus than with the wider aperture on the f/2.2 Mavic Pro camera. Because of the smaller aperture, DJI was able to eliminate autofocus on the Mavic Air – everything should be in focus as long as it is 0.5 meters (20 inches) away or further. The higher f/number also means less light hits each pixel, but since drone footage is typically captured outside in bright daylight, we don’t have much of a concern. After all, frequently drones have a problem with getting too much light, not too little. We have again provided you with a graph, this time of camera specifications. As you can see, they are very comparable when the drones are compared head-to-head. The Mavic Air is less expensive and yet offers up to 120 frames per second at 1080 full HD resolution. The camera specs between the Mavic models are pretty equivalent. 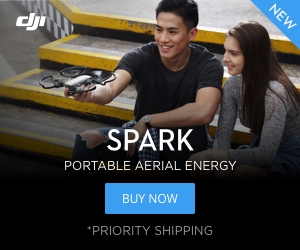 **The price is for the Mavic Pro, not the Pro Platinum. We expect the price of the Pro Platinum to come down soon. The new Mavic Air has incorporated DJI’s latest obstacle avoidance technology. The Air has cameras and other sensors on the front, back, and even underneath the drone. The Mavic Pro only boasts front and bottom cameras. All total, the Mavic Air has a whopping 7 cameras working to protect your investment. While the Mavic Air may be a faster drone, don’t expect those sensors to provide adequate protection in Sport mode. The Mavic Pro was the first drone to offer terrain follow, a version of obstacle avoidance where the drone follows the ground up a hill rather than just completely stop the motion of the drone. The Mavic Air takes this to a whole other level with the ability to navigate up, over, and around obstacles. The Autel Evo is supposed to have this capability as well, but we have not seen it demonstrated. We are not sure if the Mavic Pro and Pro Platinum will receive this upgrade, but we doubt it. Advantage Mavic Air. The DJI Mavic Pro utilizes their advanced Lightbridge technology to transmit you live video feed to your smartphone. The Mavic Air uses WiFi technology. While the Air will switch between bands, this technology isn’t quite as nice as the Lightbridge signal found in the Mavic and Phantom Pro models. WiFi range sometimes is more limited, especially if you are flying in a residential areal. Advantage Mavic Pro. This is one good looking drone pyramid. Which Mavic is Best for You? In the end, you’ll have to decide which Mavic you think best suits your needs. 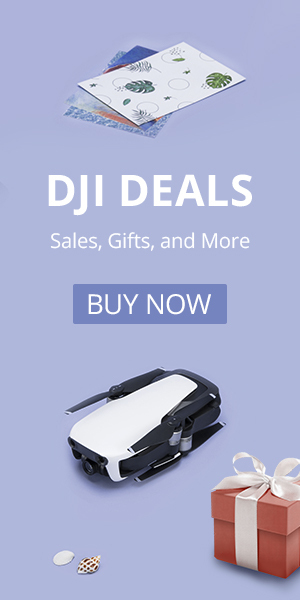 Is it the smaller compact Mavic Air, or is it the old reliable Mavic Pro Platinum that has a proven camera, better range, and longer flight time. Luckily for you, there really isn’t a wrong decision. They are both fantastic drones.